...as I've recently received the news that the 'Chop Socky Chooks' series has been nominated for a Children's BAFTA award this year - to be announced on the 29th November. The show was created for Cartoon Network and Teletoon, produced by Aardman Animation and Decode. I was proud to be involved as Art Director for the project, which was HUGE with production teams working hard in Bristol and Toronto. 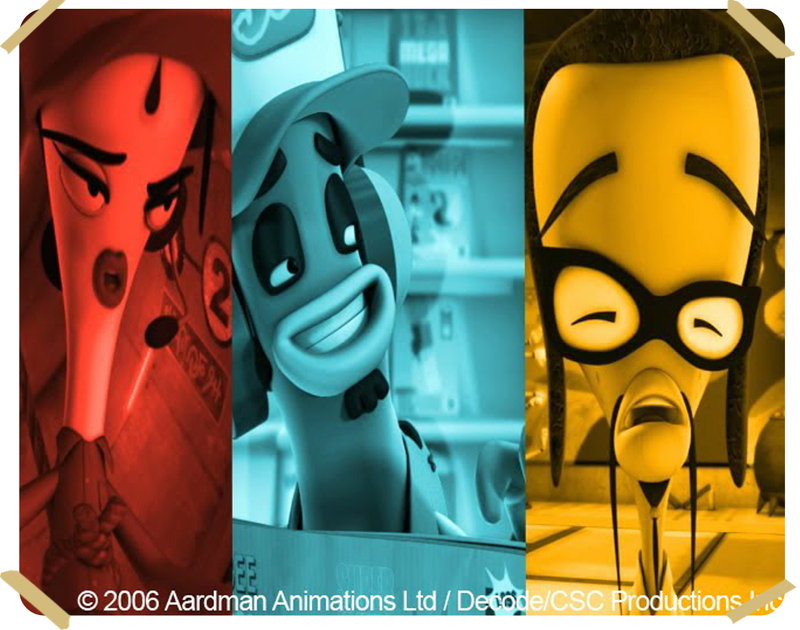 A small crew were creating story and look at Aardman, whilst main production was handled by IDTE and CORE in Toronto. All crews were passionate about the show which made it a pleasure to work on. It was great working closely with Danny Capozzi (Production Designer) who's fabulous 2d design sense translated effortlessly into 3D. I'll hopefully be posting some artwork from the show in the near future, and give some more details on Danny Capozzi and his work.